Stunning, Chris! 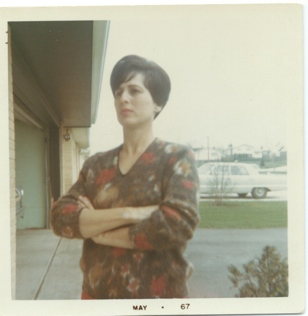 One of the loveliest pieces I’ve read by you about your mom… and every time I’ve heard you write about her, I imagine her voice as she comes to you. This does that, too, elegantly, beautifully: “Our lives diverge, cross, align, separate. Now you hear her, now you don’t.” Gorgeous, moving, perfect… just like you! Chris, I agree with Jan. I love this piece. The imagery is perfect. Red geraniums–such a hard flower, and the violet, symbol of faithfulness. You absolutely capture how a person in so many embodiments can live on all at the same time in the hearts of those she left behind. Your voice, your mom’s voice intertwine. This is a perfect illustration of acceptance. I love the structure of this–non-linear, like a the double helix of DNA weaving, dancing, crossing over. This is a beautiful piece of creative non-fiction.